PROMOTIONAL GIVEAWAY Extended Thru July 4th! 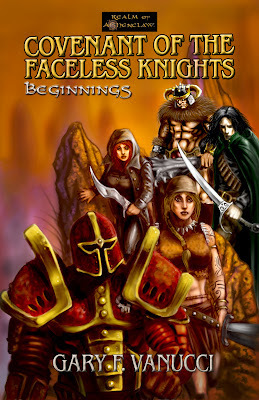 Gifting FREE copies of my debut novel, Covenant of the Faceless Knights thru JULY 4th in exchange for reviews. I would like to get a few more reviews up on both Amazon & Goodreads (copy and paste is fine). I would like some avid/voracious readers that can get the reviews up in 30 days or one month’s time. The limit I have set is between 50 and 100 copies, first come-first served, so you may have to hurry. Must visit ƦЄƛԼM ƠƑ ƛSĦЄƝƇԼƛƜ and click on the CONTACT tab at the top right (Or simply click this to bring you to the CONTACT PAGE) and fill it out. Under the 'How may we help you line', simply put: Send me my FREE book! In order for redundancy, please leave me a comment here on the blog and say ‘I’m in’ or ‘Yes, I’ll review it for you’ or something along those lines as well as your name. I will look for your email to send you out a copy. This is not until Sunday, so if you feed me your information before then, I will be better prepared! Hope to see plenty of contact forms before Sunday! 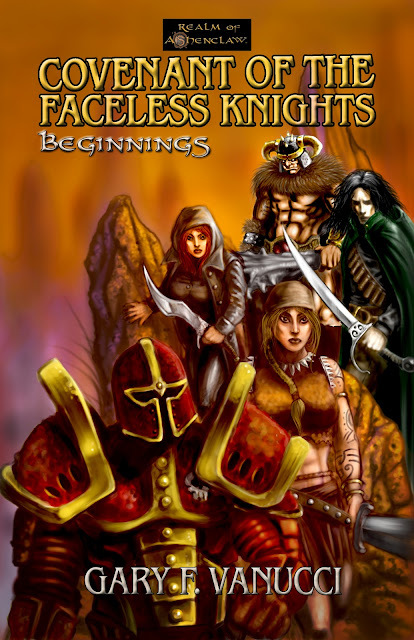 Covenant of the Faceless Knights Sale This Weekend! Through the weekend and until Monday, ƇƠѴЄƝƛƝƬ ƠƑ ƬӇЄ ƑƛƇЄŁЄSS ĶƝĮGĦƬS, Beginnings series BOOK ONE is ONLY $2.99 on KINDLE! This Weekend ONLY! So, if you were on the fence about buying it before, here is your chance to get it at a reduced rate! When a dangerous artifact goes missing from the Temple of The Shimmering One, the high priest in charge of the artifact's protection realizes that he will not be able to retrieve the stolen relic without help. 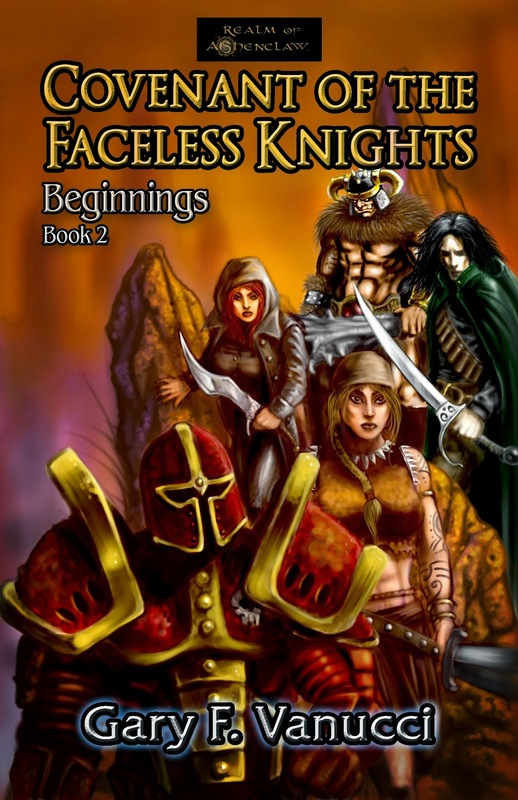 Calling upon Garius, the man who was once his own apprentice, Tiyarnon the High Priest enlists the aid of a man who is now an Inquisitor among the Order of the Faceless Knights. Garius, now a man of power and prestige, gathers a handful of allies to help complete his quest—but who among them is worthy of his trust? Aided by the mischievous Rose, a rogue among rogues, the stoic and blood thirsty Saeunn, and a promising but naive elf named Elec, Garius hopes his training as one among the Faceless Knights has prepared him to keep his small company in check, let alone survive the trials to come. 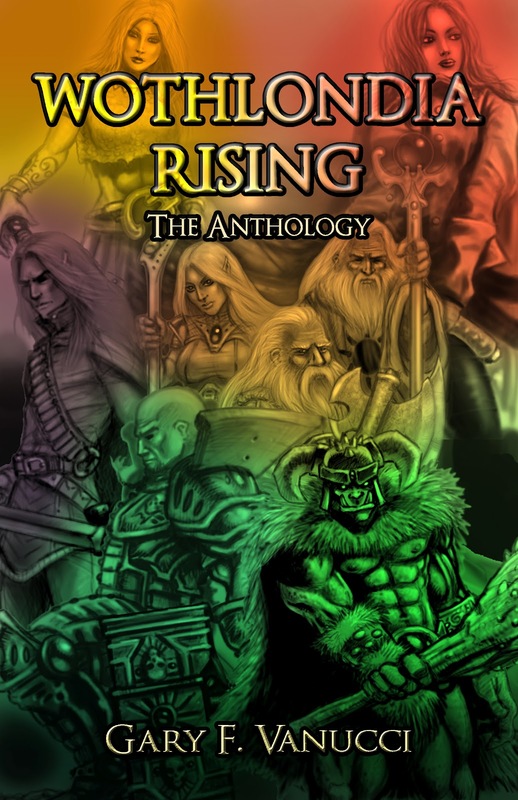 Garius must lead his band of allies into dark regions to recover the artifact before it falls into the hands of the evil being that once held it in order to ensure the continued safety of the Realm of Ashenclaw. 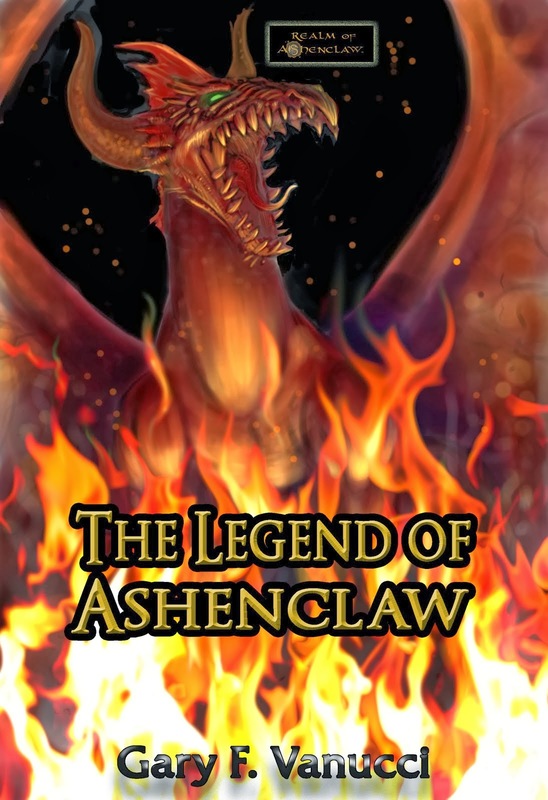 Begin your journey into the Realm of Ashenclaw TODAY! Upcoming Promos & New Release! SЄƇƦЄƬƧ ƠƑ ƬӇЄ ЄƁƠƝƖƬЄ MƖƝЄS is on SALE NOW! In honor of this I have done a price reduction on ƇƠѴЄƝƛƝƬ ƠƑ ƬӇЄ ƑƛƇЄŁЄSS ĶƝĮGĦƬS for the kindle version. Since it is BOOK! in the series, ut will be $2.99 for a week, starting the day I release Secrets, so keep your eye on Twitter, Facebook and here! This is to entice any who are going to purchase the new novel to get the first one too! AND, I have reduced the price of ШΟΤΗLΟŊÐΙΆ ŔΙSΙƝԌ: ƛƝƬĦƠŁƠGƳ to $2.99 for the foreseeable future! What more could a fantasy fan want? So, if you wanted to read the prequels and get all 5 of the Wothlondia Rising short stories PLUS the FREE extra one (REFLECTIONS), there has never been a better time! Once again, I hope you enjoyed the excerpt! 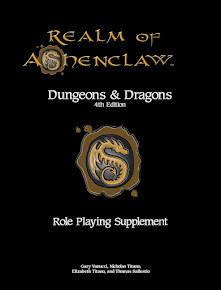 Keep your Eye on Ashenclaw for more news! 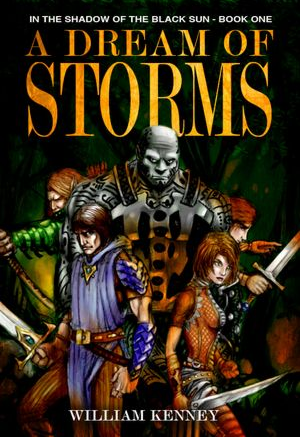 I was on Gelati's Scoop GZONE blog talk radio 6/21/12 @ 4pm doing an interview if anyone is interested in checking it out.It was a ton of fun and I had a good deal of information to share with any fans of Realm of Ashenclaw or fantasy in general. I also mentioned SKULLDUST CIRCLE and plans for me being @ GENCON this August! Secrets of the Ebonite Mines. I wanted to share my comings and goings with you good people, the followers of these blogs, (Here and SƘƲԼԼƊƲSƬ ƇƖƦƇԼЄ) and give you all an exclusive sneak-peek at my next full-length novel. I have been getting a good deal of questions as to when this was coming out, so, with any luck, it will be available at the end of the month for the kindle select. I will be doing the initial 90 days through them and, depending upon how sales are, will decide whether or not to bring it to the NOOK and other venues. So, in this book, it picks up where ƇƠƲЄƝƛŊƬ ƠƑ ƬӇЄ ƑƛƇЄŁЄSS ĶƝĮGĦƬS left off and I am introducing a ton of new characters, so hold onto your hats! 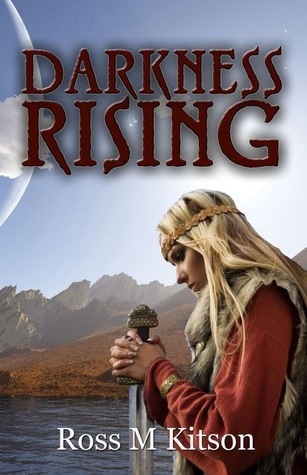 There is a lot of ground to cover, several story lines going on at once, the revelation of a budding, mutual attraction that may lead to a romance soon enough, Rose's feud with the Shadowhands, and plenty of other magic and mayhem! Also, thanks to William Kenney for the cover art and I've provided samplings of his WIP as well. Xorgram Eboneye stood at the top of the watch tower, using his one good and deeply blue-colored eye to peer out over the horizon and into the morning skyline. He then removed a telescope from his backpack, lifted his eye patch and held the device over his prosthetic, very unique right eye. That prosthetic had many special qualities. The telescope, when combined with it, magnified his vision by tenfold, making things in the distance appear as if they were happening right in front of him. The prosthetic eye, which he’d had implanted years ago, was made for him specifically by Fuddle Mucklewink using the rare shadowsteel material of the mines found below Hollow Hill. Fuddle was a brilliant gnome inventor and one of his oldest friends and allies. The new eye enabled Xorgram to somehow tap into his optic nerve, allowing him to not only obtain clear vision, but to also see into other planes if he so willed it. This particular gift required great effort and was a feat that he could only perform occasionally, and was something he’d discovered accidentally. He surveyed the vast and many areas surrounding the dilapidated village he called home for signs of activity. Once a wagon, caravan or group of travelers was spotted, he could send his brethren to relieve them of their goods and coin. He smiled as he thought of how smoothly their operations were going and how efficient the Blackstone Brotherhood had become here over the last few decades, perfecting their procedures and developing a careful system. It had taken him years to come up with the proper distance, techniques and tactics with which to apply his thieving carefully enough to not be discovered. He was extremely proud of this particular group of highwaymen. This thought made him hold the smile for several more minutes before returning his attention to the valley to the north. There was no sign of movement or life that he could see immediately in the vast expanse that was called Heartwood Valley. The valley was their usual stomping ground, sandwiched between the Oakcrest Mountains, the Amrel Forest, Hollow Hill and the eerily foggy Lake of Souls. Its proximity lent itself well to their incursions and provided sufficient cover from which to perform their raids without detection. And the mist from the Lake of Souls was just beginning to pour into the valley. The fog derived from the warm waters that fell from the Blackstone Mountains, where a waterfall emptied into the Lake of Souls and caused a misty effect each and every morning. 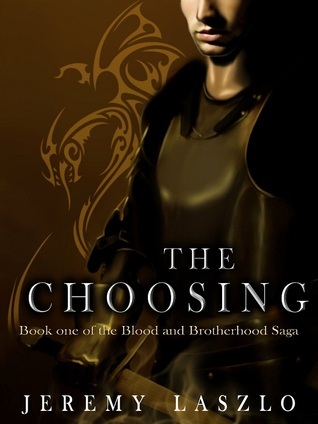 That was a particularly good time for the Brotherhood to execute their work—then and in the cover of night, of course. “Anything?” called a gruff voice from behind, pulling him from his thoughts. He turned to regard one of the coven, which is how he and the entire Blackstone Brotherhood referred to the thirteen leaders he placed in charge to help him run the day-to-day operations. 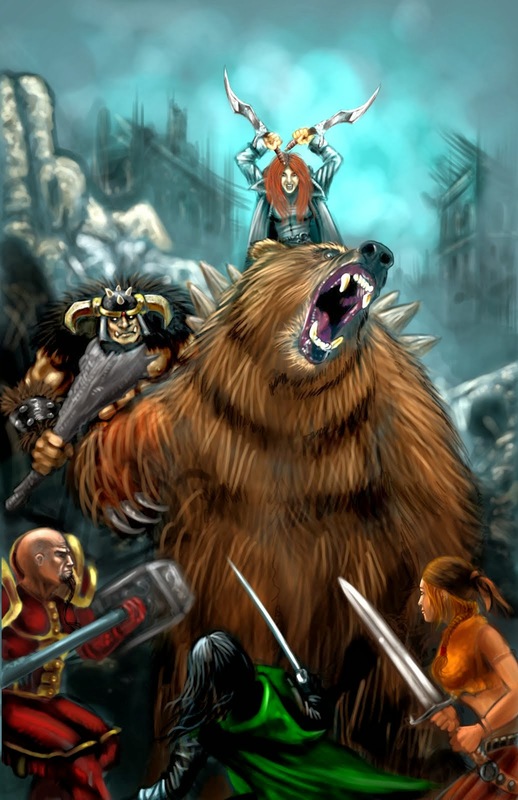 He looked down on one of his best and most seasoned raid leaders named Amtusk—a grey-skinned half-orc with remnants of auburn hair and a goatee that matched growing sporadically on his face. He spoke through a mouth framed by a pair of large tusks. “I’m bettin’ ye’ll be needed soon,” called back Xorgram as he stepped forward and leaned over the railing of the watchtower deck, staring wide at the ruins of Hollow Hill. Xorgram and his confidantes had long ago decided to leave the settlement in shambles so that any passers-by would not think it occupied. It remained in the state in which Ashenclaw herself had left it…charred ruins of a once-teeming village. “Why dontcha go fetch me some breakfast, instead o’ cryin’ and complainin’,” Xorgram called down once more to the half-orc, scratching his raven-black beard. “Yer time be comin’, so be ready when I’m callin’, Amtusk,” Xorgram ordered as he regarded the newly-crafted shadowsteel weapon with a wide smile. He couldn’t help but see how this most recent development by his miners and engineers would give their entire organization a major advantage—mostly in warfare—and they might even make a few coins if they could perfect the metals and sell them to the highest bidders. 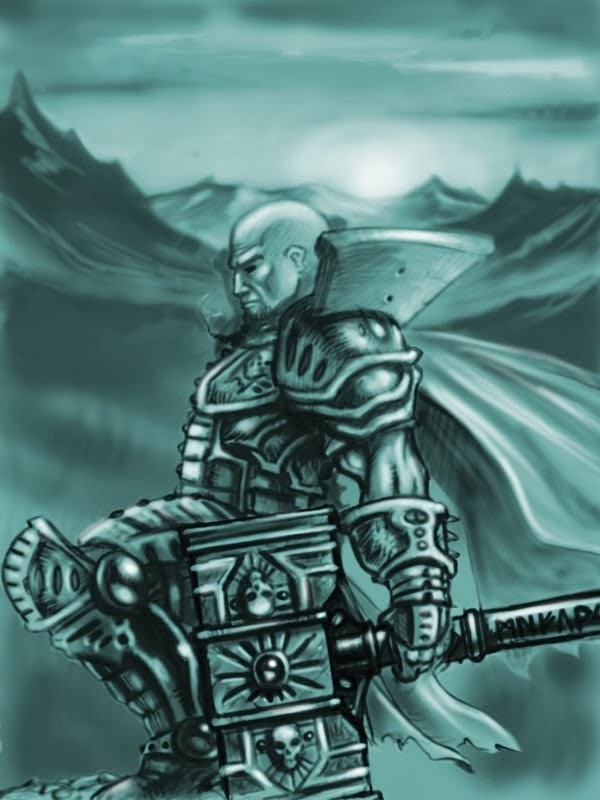 Once Xorgram sent the word out of how their new weapons worked, their reputation would spread across Wothlondia and the Brotherhood might grow into something altogether grand. With the new sections of ebonite they’d recently uncovered in the mines deep beneath their village, the head miner, Skilgo Firehammer, would certainly be busy! Xorgram had set Skilgo, a Slagfell dwarf and expert miner, to the task immediately. Not only had Skilgo been put to work, but all of the rest of the miners had been digging for months now in that section to uncover more of the ebonite veins, and they had recently revealed a mother lode! Xorgram also had his cousin and closest friend, Kilkutt Axegrind, the master-smithy, working tirelessly along with his understudies. They worked night and day to reshape the ebonite, reforming it into shadowsteel, which was in turn used to create some masterfully potent weapons and armor. That wasn’t even mentioning what Fuddle could do with the stuff, thought Xorgram gleefully. Xorgram surveyed the area carefully once more and considered that with the weather breaking, more and more caravans would be traveling within his boundaries. He whipped his head around and cleared the strings of black hair from his vision and scanned using the telescope. He panned west and then, as his gaze headed back toward the east, he could see what looked like a caravan. “Well, I’ll be...” Xorgram muttered. To the north, as if in answer to his needs, came the mist from the Lake of Souls. It started out slowly each morn, but as the minutes passed, it thickened over the bottom of the valley and covered it for miles. He smirked at his good fortune and removed the telescope from over the ebon orb that sat in place of his right eye. “Amtusk! Forget about me breakfast! We got us a carriage headed down from the northwestern hills!” he called out, retracting his lens and replacing it in his belt. “Get a party together with some crossbows in the hills above and get me some goods!” It was shaping up to be a good year, Xorgram thought. “Aye!” Amtusk called and ran off to heed his leader’s commands. 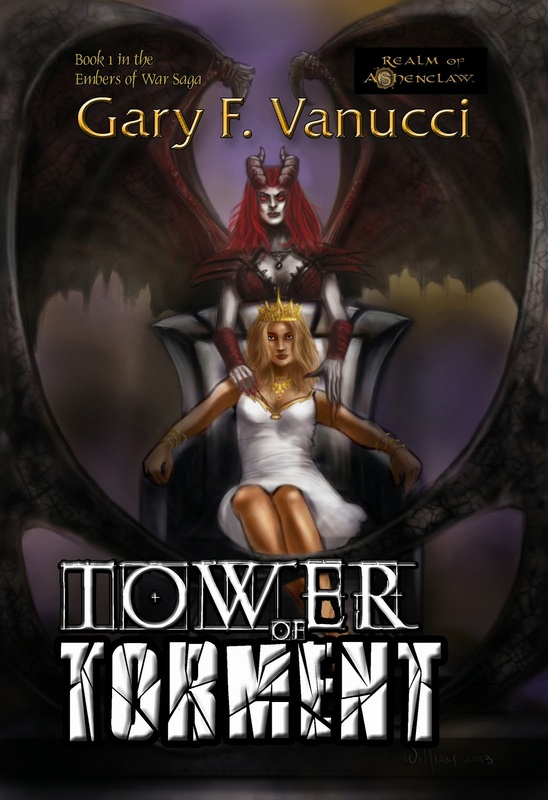 “The princess is complaining again,” called a silken voice from the other side of the watchtower. Xorgram stared down to see Cassia, his mistress and a seasoned raid leader, calling to him from below. Her blonde hair danced freely in the cool breeze. He hurriedly climbed down the watchtower and landed in front of her. He looked around to see that no one was nearby, grabbed her by the hair, pulled her low and kissed her hard on the lips. “Now, what ye be sayin’?” Xorgram asked replacing her into an upright position. He adjusted his leather pants and then ran his stubby fingers through his own disheveled, black hair in a vain attempt to make himself more presentable to her. 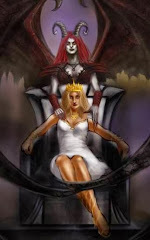 “The princess,” she began to say with a certain malice in her tone that quickly dissipated, “requires some behavioral adjustments.” She wiped her mouth and spat at the floor in front of him. The blonde woman merely shrugged at the rugged dwarf, then called back to him. “Or maybe I’ll feed her to Iron Belly,” she teased as she departed with a glint in her light brown eyes and a cruel smile on her face that yet maintained a genuine beauty. 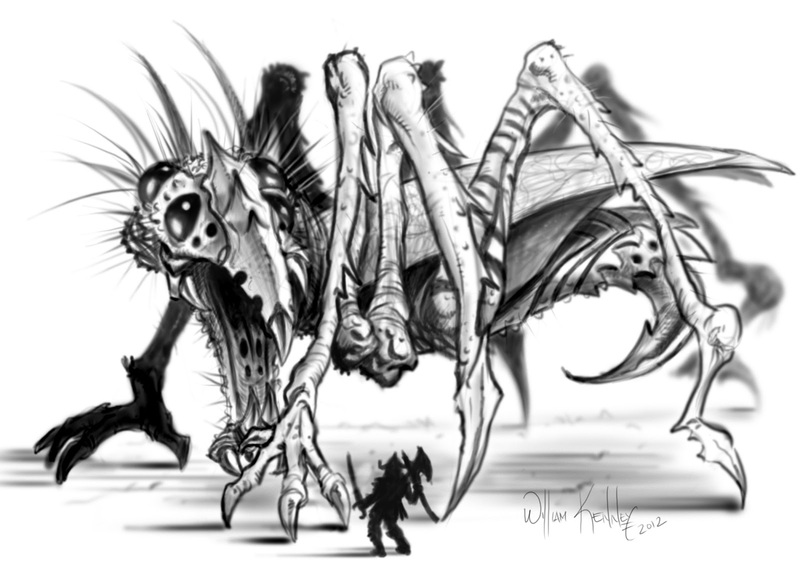 Xorgram watched the woman go, thinking about the huge tyrantian worm that made its home beneath the ebonite mines with its gaping maw, huge mandibles and as yet unknown length and which they affectionately referred to as Iron Belly. He recollected the first time he had encountered the thing, which was coincidentally the same day he’d lost his right eye. He shook that thought from his mind as his vision couldn’t help but follow Cassia as she walked away, watching her hips moving side to side under her tight leather pants and her shapely legs crossing over in front of each other. 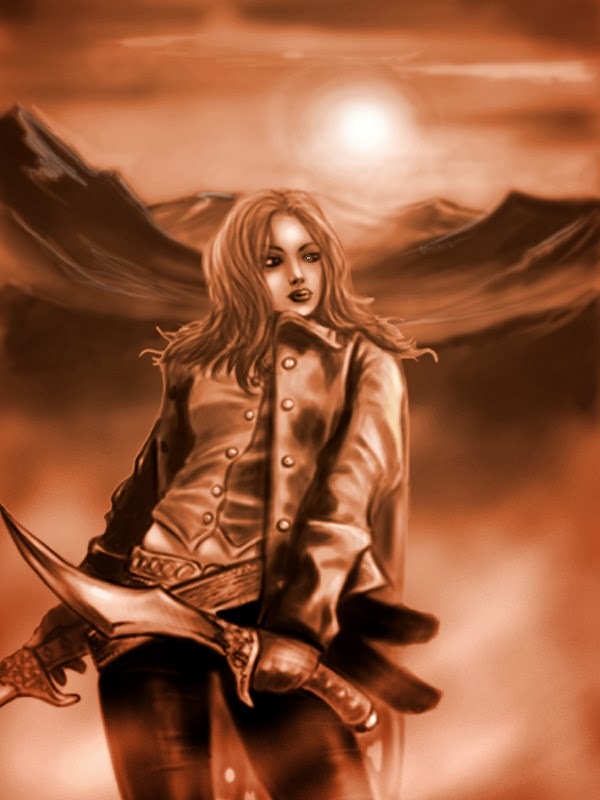 Her twin rapiers were also hanging low on her belt, one on either side, their weight aiding in pulling down the top seam of her pants to reveal just the hint of lighter skin below her tan line. She glanced back to catch him staring at her and then turned back, no doubt smiling to herself. Xorgram quickly turned his considerations back to his daily tasks although his eye found Cassia’s form a few more times as she continued on her path into the mines. 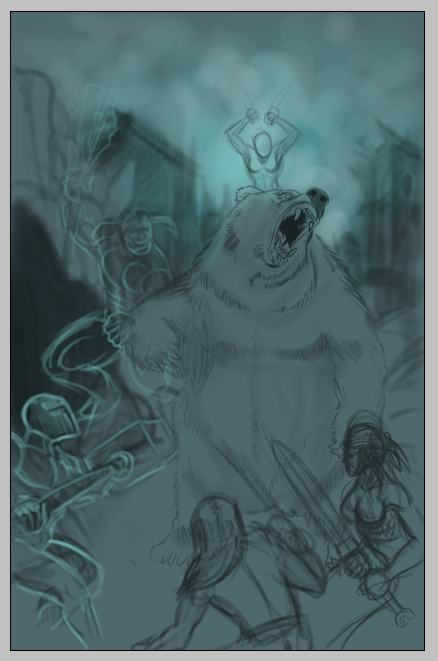 Once Cassia was out of sight, he headed toward the entrance of the village and saw the last of Amtusk’s raiding party piling out of the gates. He watched as they shut those same gates behind them. He breathed a deep sigh and adjusted his eye patch, giving in to the memories of the horrible troll, Bilonus that was responsible for taking his eye as well as his once-stunning features. Xorgram frowned visibly at that thought. But then a smile began to form as he recalled that the troll had been devoured by Iron Belly. He headed back to the top of the watchtower once more, smiling ear to ear in vengeful satisfaction. 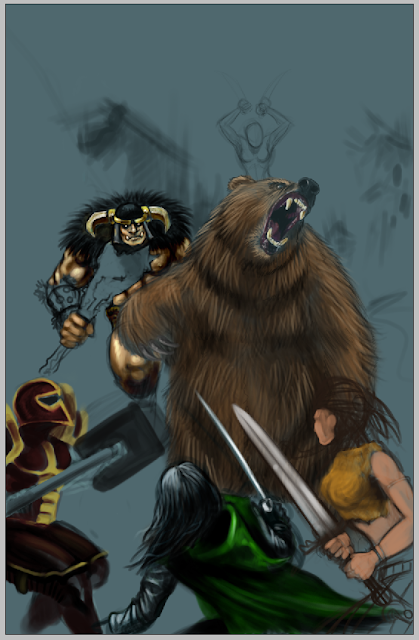 Cover Art Stage 2~Is that a Dire Bear? Yep! Please join me and the other fantastically talented authors over @ Skulldust Circle where we have formed a Writer's Circle that must be seen--a collection of brilliant, up & coming independently published speculative fiction authors with much to give both now and in the future! 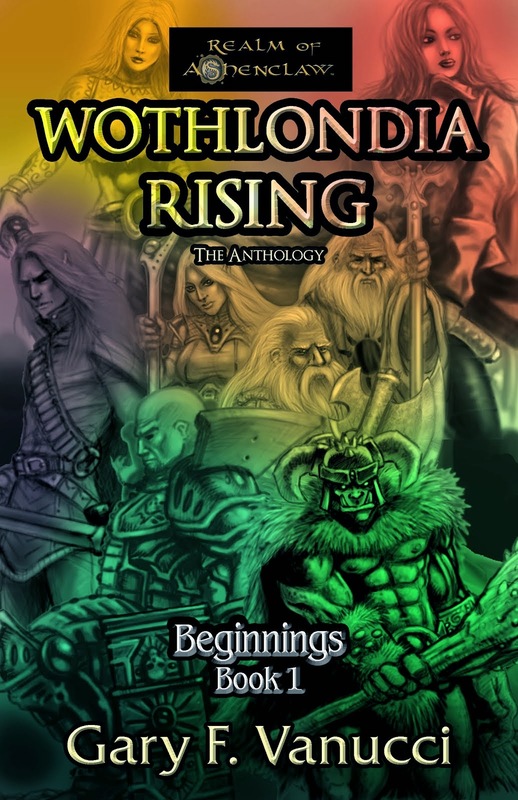 WOTHLONDIA RISING The Antholgy Released! I decided to release all of my short stories in one edition for those of you who might want them all in one tome. As an added bonus, I have also added an exclusive, never before published story about your favorite half-ogre barbarian--Orngoth! Also included is the Prologue to ƇƠѴЄƝƛƝƬ ƠƑ ƬӇЄ ƑƛƇЄŁЄSS ĶƝĮGĦƬS as another bonus right after Distant Familiarity! And as is that wasn't enough, I set the price at a paltry $3.99 to start. To recap: That is 6 short stories (A Rose in Bloom, Strength of Faith, Tears of Blood, Maturation Process, Distant Familiarity and Reflections), the bonus prologue and the collage cover art of Mister William Kenney all for less than 4 bucks! There's never been a better time to pick up ШΟΤΗLΟŊÐΙΆ ŔΙSΙƝԌ: ƬӇЄ ƛƝƬĦƠŁƠGƳ! I have also given a small snippet of the Reflections story to attempt to entice you! Orngoth was treated callously and with minimal care by the Ironskulls. The clan had been given their name by Muurg, their leader and chieftain. He was a brutish hulk of a thing, with a bloated belly and stiffened muscles atop his back and arms like none Orngoth had ever seen before. 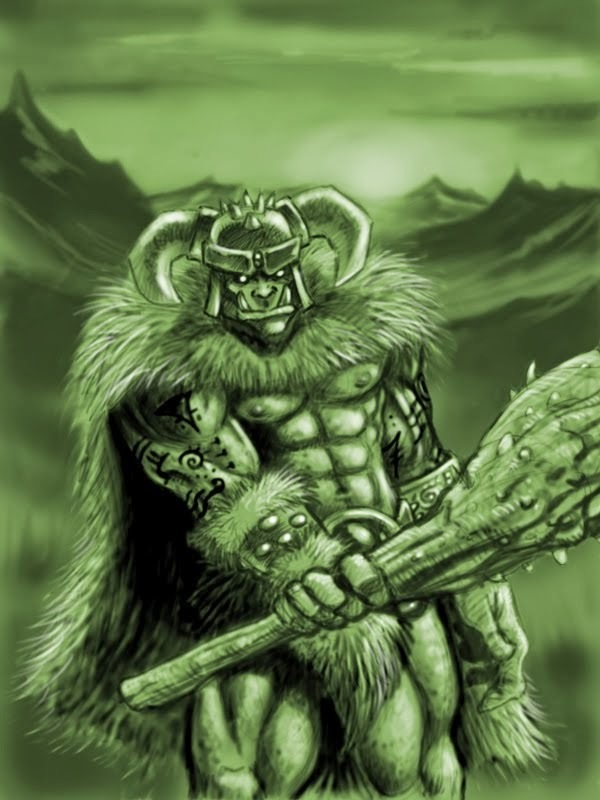 However, Orngoth was no slouch either when it came to size and strength, weighing as much as a horse and standing tall amongst the pure blooded ogres. Muurg was fairly intelligent and extremely cunning for an ogre. He had deciphered Orngoth’s human heritage from the features he displayed shortly after Hazel claimed the boy as her own. Orngoth received daily beatings and the catalyst was the simple fact that his veins were ‘polluted’ with the blood of the humans. Muurg instigated the attacks with an insult here or there, and the barbarian ogres did not need much more in the way of incentive. Scars and fractured bones sometimes lingered as results of the thrashings, at which time the ogres would simply leave him lying in a pool of his own blood as they walked away laughing. 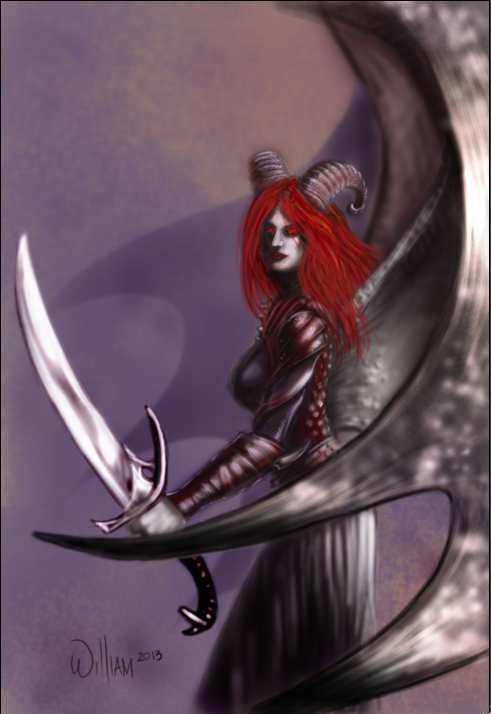 But Orngoth would never plead for them to stop, nor would he show any signs of fear. That would result in his death. The ogres did not stand for cowardice in any fashion or render any mercy whatsoever. Orngoth did not blame them for their ways as he understood what the barbarians felt when they entered the state of the frenzy. He felt it oft times, too. There was nothing much he could do when he sensed the fury well up within him. It was uncontrollable, he admitted. 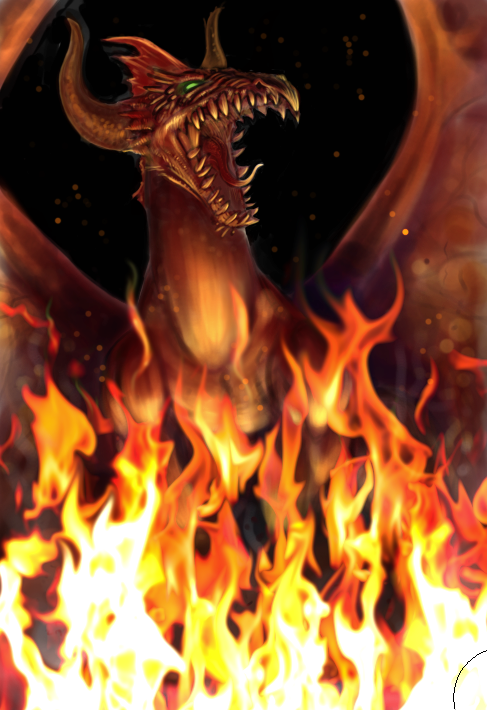 Once his eyes washed over with the red of anger, there was naught that could be done until it left of its own accord. Besides, this was his family now after the humans had abandoned him. As he wandered down the path of the winding hill and into the valley below, his contemplation of past events dissipated. He continued, heading toward the copse of ironwood trees at the apex of a faintly hilly area, where he often quietly sat, alone with his thoughts. This was a place of peace for the half-ogre. The much needed tranquility of nature’s most beautiful surroundings offered him a brief respite from the hatred and heartless behavior of his clan. He strolled over to where he’d laid the club he had been crafting—a thick bough of ironwood that brought him a sense of calmness when he cinched his thick fingers around it. He sat and leaned against the familiar, wide tree trunk to once more smooth out the club’s handle. He removed his small dagger and a whetstone, sharpening the blade for what seemed like an hour. He then began using the sharp edge of the blade carefully, moving it up and down the club’s shaft with awareness and care. Shavings of ironwood fell softly to the ground. The club was slowly taking shape, for he had been working the hard wood for months now, venturing out every day while the rest of the clan slept off their meals. Suddenly, the sound of moving brush to his right flank jarred him from his peaceful thoughts. Something was approaching through the thick foliage—something that was either unaware or uncaring of the noise it made, shuffling loudly toward the outer edge of the thicket. Orngoth waited with the club in his hands for whoever—or whatever— it was. The club was weighty, with tough ironwood bark lining its shaft and rigid natural protrusions near its top edge. Finally, Orngoth saw the source of the noise as it emerged from the brush, fully presenting its bizarre outline plainly in the clearing—a Tyrantian crawler! One again, I hope you enjoyed the excerpt! Now, I don’t assume that all of you have read the books, or even Clash of Kings (which I am finished as of today), but suffice to say, it is pretty close to the book. Some details change, but the characters eventually end up where they are along the journey. Since I have not discussed this at all, I wanted to see what you all think of the story so far, or perhaps even the prose of Mr. Martin, who does a phenomenal job of painting a picture with words. And, I have stated this before: Martin can take the mundane, make it sound interesting, and never deter from the story…as a matter of fact, he somehow makes it more interesting! God bless you, George! Spoiler Alert! From here on, we discuss the story, so turn back now if you have not finished! So the story progresses and we find that, in short, that Geoffrey, Cersei and Theon are still (insert name here for something derogatory). 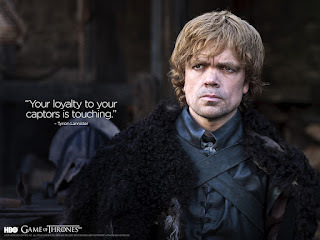 Littlefinger and Varys are still at their mind games and now have some competition as Tyrion comes to King’s Landing. 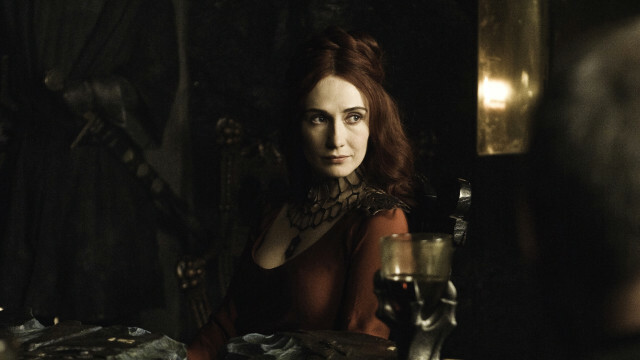 Rob is a bit boring this season, as is his mother, Catelyn. Even the wedding is lackluster. Sansa is getting good advice from the Queen and Littlefinger on how to be a better liar. The two boys are trying to escape from Theon late in the season as not much happens in Winterfell in general. Arya is holed up in the den of the enemy, interacting with Tyrion (in the show anyway) and learns much from him, too. She also meets the assassin Jagen H’gar. Super cool. I love the character. He is death incarnate. Stannis is trying to get the crown after he has Melisandre go to him and spew forth a shadow demon that kills Renly, and then she shows him the way in her fires at the end of episode 10. Davos, the ex-pirate, continues to somehow be the voice of reason. Kind of a cool twist. Daenerys' scenes were good, just sparsely populated. I would have liked to have seen more of this storyline, though it is underplayed in the novel, too. The Tyrells make their way into the castle and into the Lannister lives with Margaery set to wed Geoffrey. And Jon is on the wall, meets Ygritte and has an amazing encounter with Qhorin Halfhand. Did I miss anything? Probably. Okay, now…speaking of cool characters, I do not know where to begin. I have saved the best for last and let me know if I miss anything or anyone. 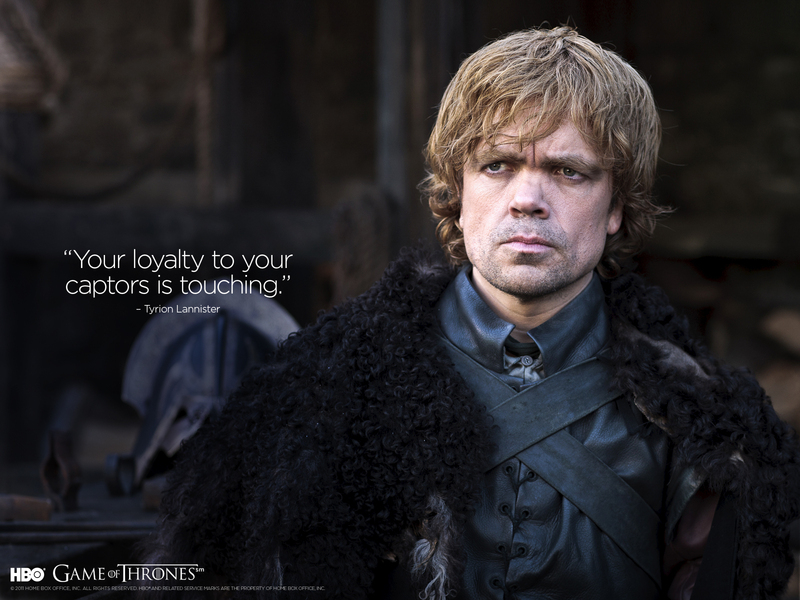 Tyrion is on an island by himself and Peter Dinklage rocks the role (pun intended). Jagen H’gar. Awesome. What else can you say about him? The Hound. Cold blooded killer and not afraid to admit it. He and Bronn interacting in the beginning of episode 9 I believe was a phenomenally powerful scene and showed signs of things to come perhaps. Photos found somewhere on the web! Join me @ Skulldust Circle where we have formed a new Writer's Circle that must be seen--a collection of brilliant, up & coming independently published fantasy authors with much to give both now and in the future! TEARS OF BLOOD FREE! Happy Birthday to ME? Since my birthday is coming up, I have decided to give you a free short story again! What? Shouldn't I be receiving the gift, you say? Well, I kind of look at like this: I give you something for free, and you, in return, read my work and perhaps even post a review. Or, even better, you like it and come back to buy a few more in the series and begin your journey into the magnificent Realm of Ashenclaw. Whaddaya say? 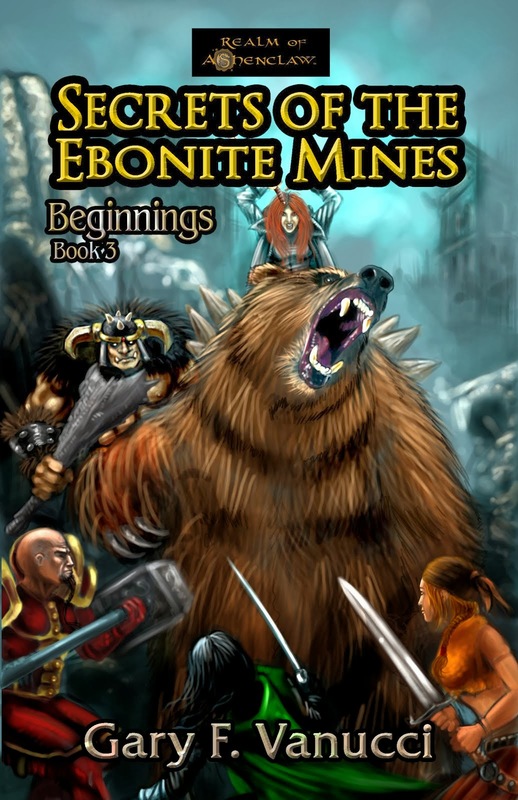 This is all leading up to my WIP, Secrets of the Ebonite Mines, dropping some time the end of the month, too, if all goes according to plan. I have the masterful William Kenney working on a cover that will knock your socks off and the incomparable Stephanie Dagg trying to make me once more sound as though I know what I am talking about! In all seriousness, nothing would make me happier than if you all simply read my work. I would love a review if you happen to read it on Amazon and Goodreads. That would certainly make me happy! That is why I put pen to paper so to speak--a gift to you. And just for a teaser, I will post another sample here, along with the cover again! It will be available to download for the Amazon Kindle from Wednesday (6/6) all the way through until Sunday (6/10)! Enjoy! Suddenly, a scout on horseback appeared in the distance. As he neared, he clumsily dismounted, stumbling to the ground. 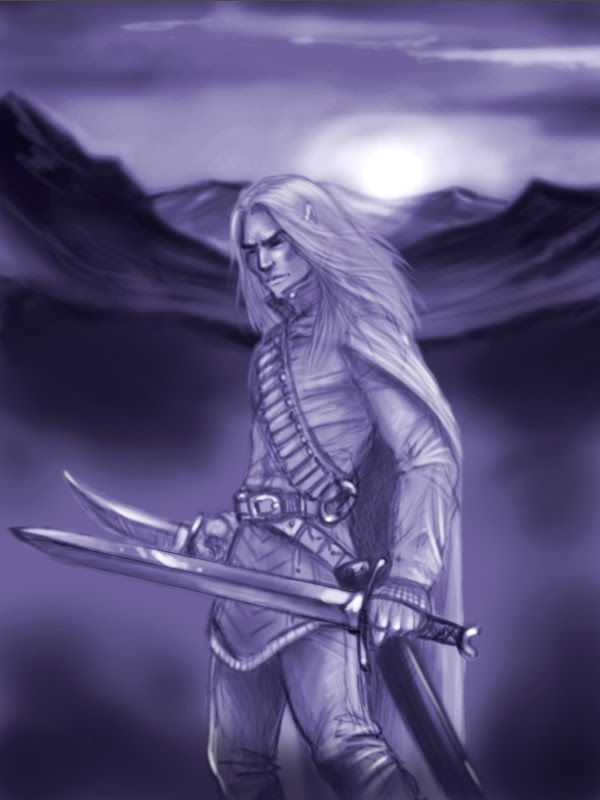 Scarr recognized the boy as one of Helzak’s children—Halton. Helzak was a fine bowman in Chansuk, and had the eyes of an eagle. 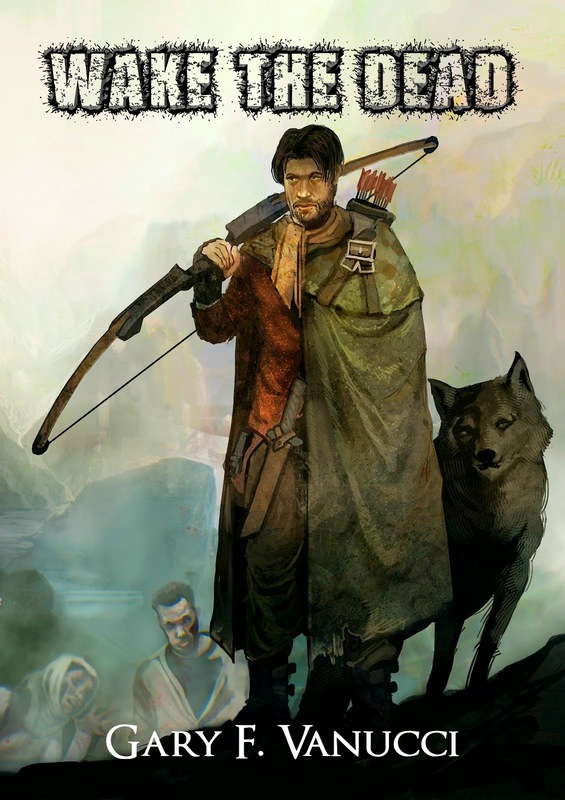 Normally Helzak would be either hunting with Scarr or helping as a scout, but this day had him bedridden with sickness. That was why the boy was in his place. The young man approached with a frightened and disturbed look upon his pale, young face. 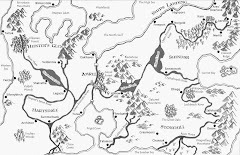 His eyes were wide and he was pointing to the north as he attempted to gather himself. “Halton, what is it?” asked Scarr as he tried to steady the boy. Scarr grabbed the boy by his comparably smaller arms and pulled him closer. “A horde heading where? 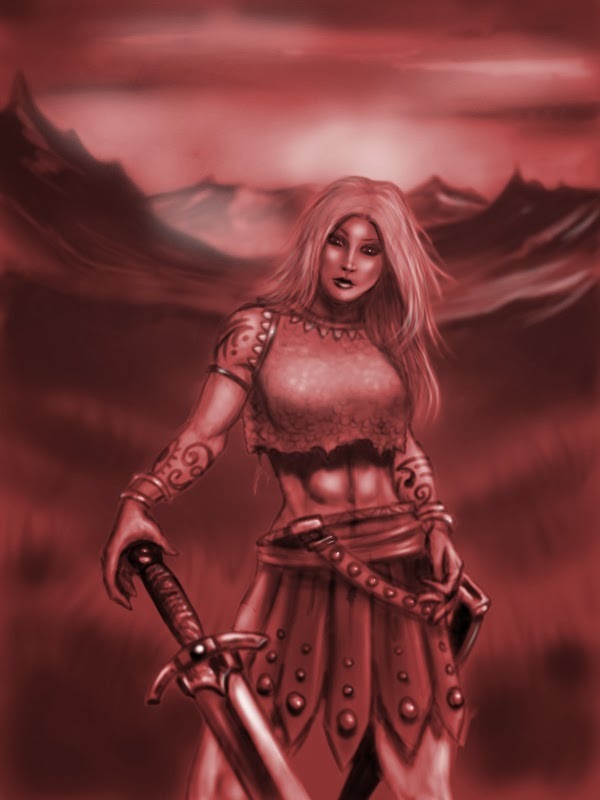 !” demanded the barbarian chieftain. “They are heading northwest. Most of them, anyway,” cried the young man. Scarr could feel the boy shaking and fidgeting in his grip, truly frightened by whatever it was that he had witnessed. “How far are they now, boy?” asked Scarr, plans formulating in his mind. “But, what?” insisted Scarr, pulling the boy even closer. They were almost nose to nose. Scarr pushed Halton back and released his vise-like grip, admiring the boy’s obvious talent for perception and observance of details. Just like Helzak, thought Scarr. The boy fell backward, but caught his balance and stood again, staring at the commanding barbarian before him who tugged at his braided beard thoughtfully. “Aye,” Rothnarr agreed and strode away with purpose. Within moments, a crowd began to form around their leader, a wall of muscled barbarians who stood intently awaiting the words of their great chieftain. 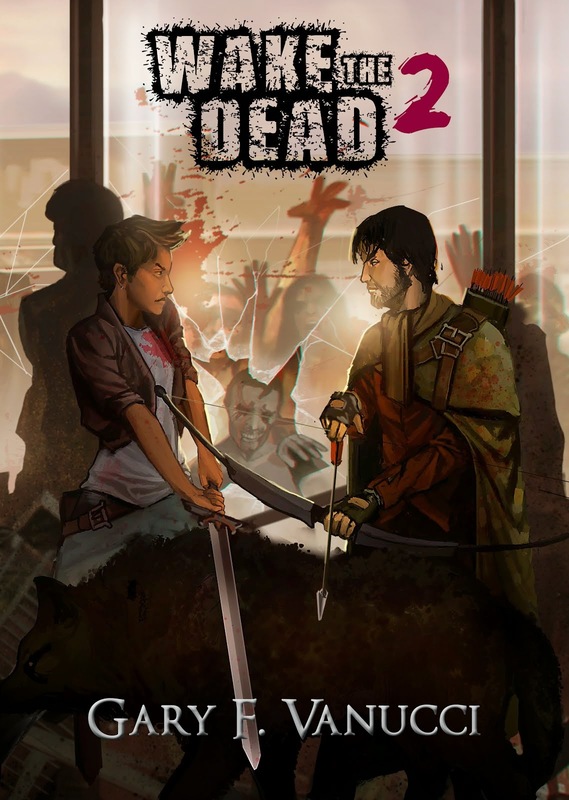 Is The Type Of Cover Art You Choose Important To Your Audience? 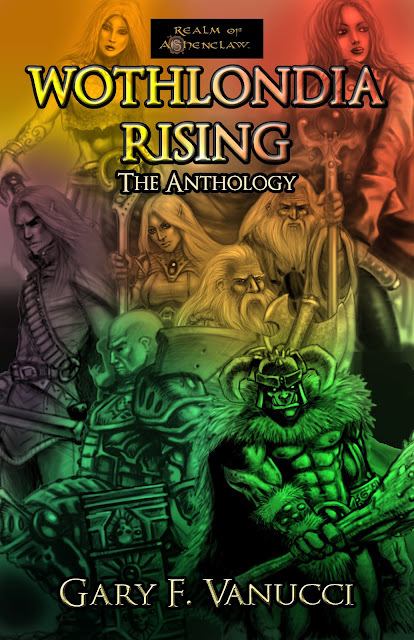 I am including all of our cover art (from the authors at Skulldust Circle) for you all to peruse. 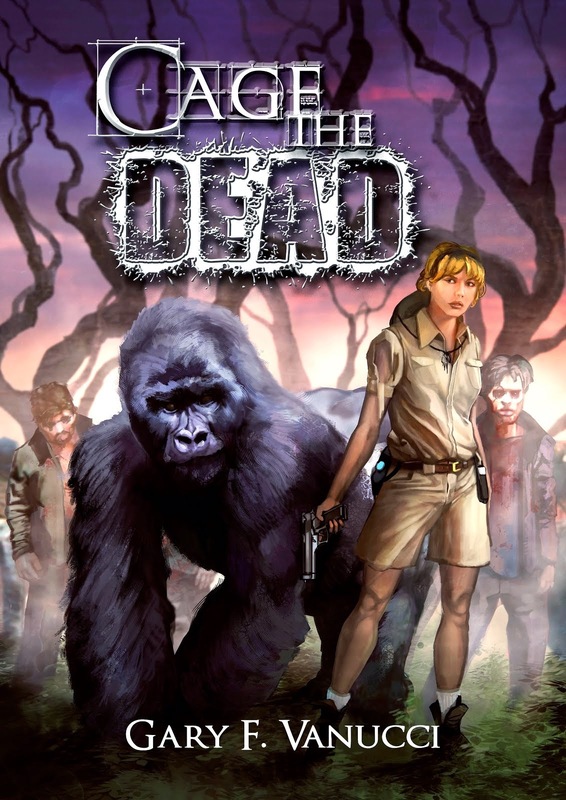 Sometimes I think that a more realistic cover (like the ones on Jeremy Laszlo’s books) would be a better approach. 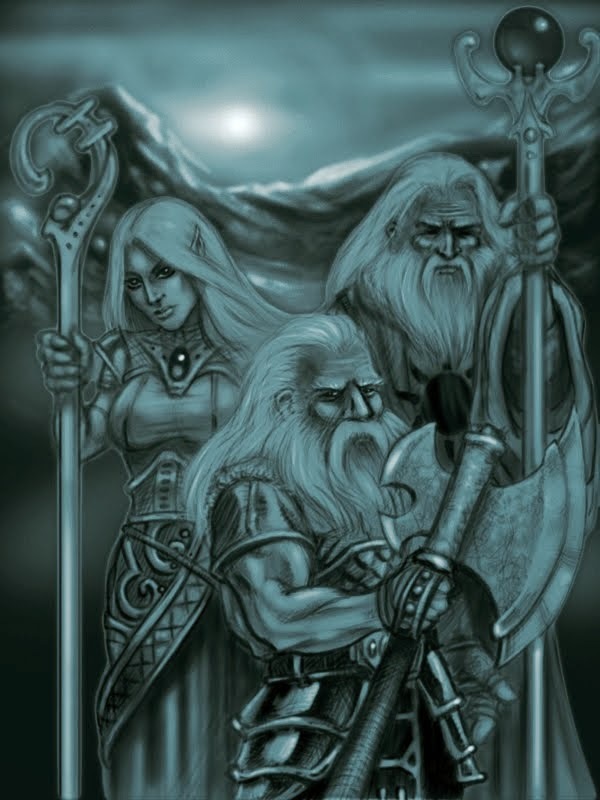 And then I think, nah, I want to pay homage to the artwork that I grew to love when I was swept away reading tales of the Forgotten Realms, Elric of Melnibone, Conan of Cimmeria, and The Sword of Shannara! Please don't get me wrong: I love Jeremy's covers! Truly! I am personally moving forward with these, embracing the style of the past and have found William Kenney’s artwork to suit me perfectly. As a fellow author and fellow Skulldust’er as well, he has similar ideas and interpretations as I do envisioning my characters, etc. I always love to see what artists come up with when interpreting what I write and how they see it in their mind’s eye. Either way, none of this is wrong. It is just opinion. I would love to see what you all think moving forward on what you think an epic fantasy cover should look like! I will take all of this information here into consideration moving forward. Thanks for stopping by and have a fantastic rest of the weekend! Oh, and if you stuck around this long, here is a possible choice for the cover of my next release. It will include a FREE short story as well. What do you think? Last of Maturation Process for KDP Select! 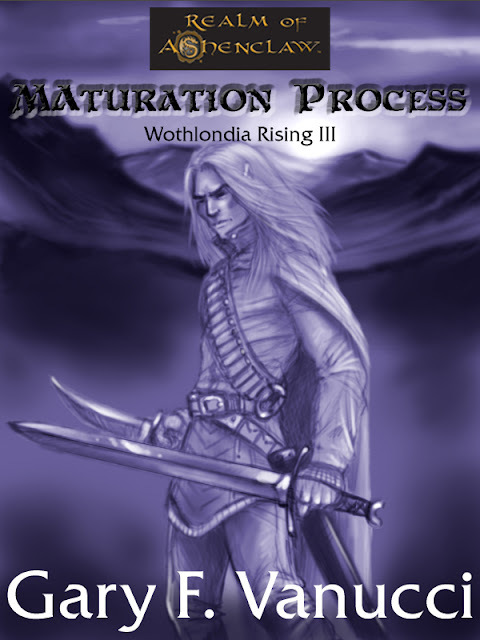 Today is the last day to claim MATURATION PROCESS for FREE! 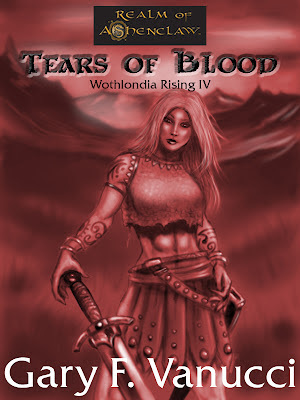 Start your journey into the Realm of Ashenclaw today and sample a bit of Wothlondia Rising!